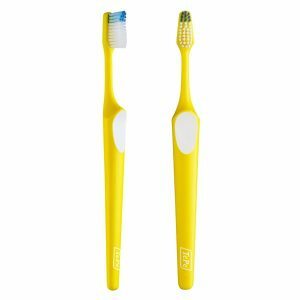 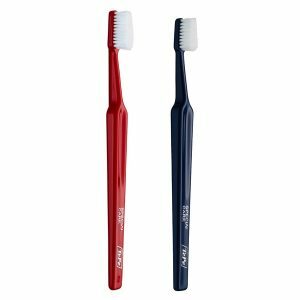 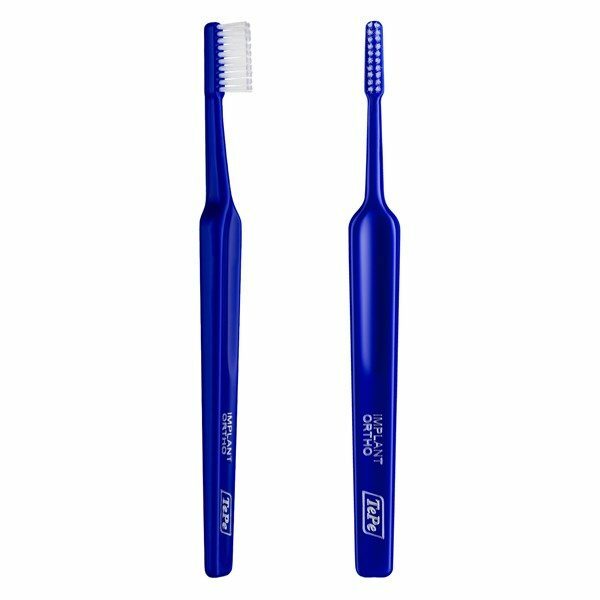 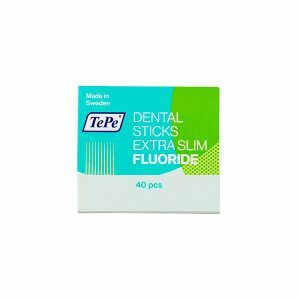 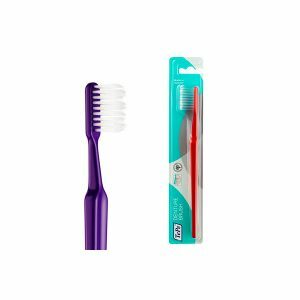 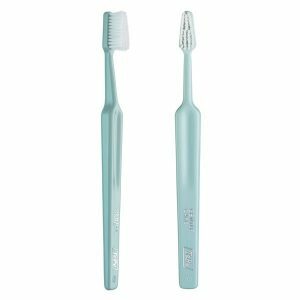 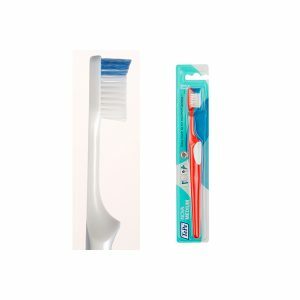 TePe Implant Orthodontic Brush™ is a special toothbrush designed to clean along implants and fixed braces. 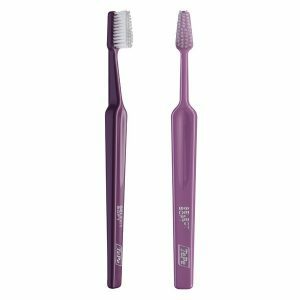 TePe Implant Orthodontic Brush™ has soft filaments in two rows, an extra narrow brush head and a long, thin neck, which facilitate access and cleaning close along implants and orthodontic wires. The neck of TePe Implant Orthodontic Brush™ can be angled in hot water for better access. 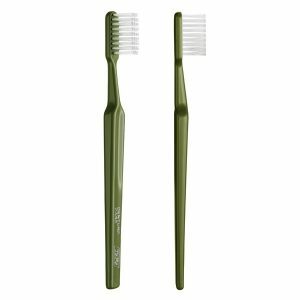 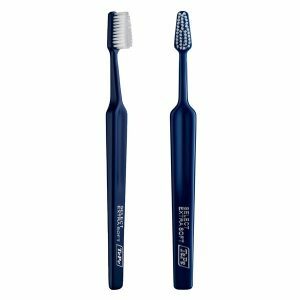 The two-row, soft filament brush has an extra narrow brush head and a long, thin neck, which facilitates access and cleaning close to implants and orthodontic wires.